Prosecutor again seeks 8 years in jail for Aeroflot ex-manager in embezzlement case | Russian Legal Information Agency (RAPSI). MOSCOW, March 3 (RAPSI, Lyudmila Klenko) – Prosecutor has again demanded an 8-year prison sentence for Nikolay Glushkov, former Aeroflot first Deputy Director General in charge of Finance, who stands accused of embezzling over $122.5 million from the airline company, RAPSI learnt in Moscow’s Savelovsky District Court on Friday. According to investigation, in the latter half of the 1990s, Glushkov conspired with businessman Boris Berezovsky and convinced then Aeroflot Director General Yevgeny Shaposhnikov to carry out financial restructuring. Investigators claim that the loans provided for the alleged restructuring were embezzled. The alleged damage caused to the company is estimated at $122.5 million. On January 18, a prosecutor in this case asked the court to sentence Glushkov to eight years behind bars and recover about 9 billion rubles ($150,000,000) in caused damages from the defendant. Prosecutor said that the sum of 9 billion rubles was calculated based on damages themselves, interest rate for the use of embezzled money and inflation. 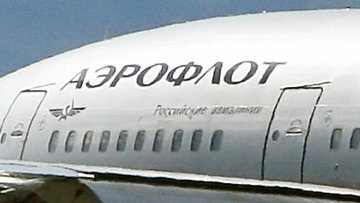 In late January, the court ruled to resume judicial inquiry into the case over embezzlement at Aeroflot. Glushkov is on the international wanted list. The defendant, who had left for England, was charged in absentia and in 2010 he received political asylum in the United Kingdom. 12:03 03/03/2017 Prosecutor has again demanded an 8-year prison sentence for Nikolay Glushkov, former Aeroflot first Deputy Director General in charge of Finance, who stands accused of embezzling over $122.5 million from the airline company.